Maybe it’s because I’m of Italian ancestry that I’m partial to Dolce, the new fragrance released by Dolce&Gabbana. 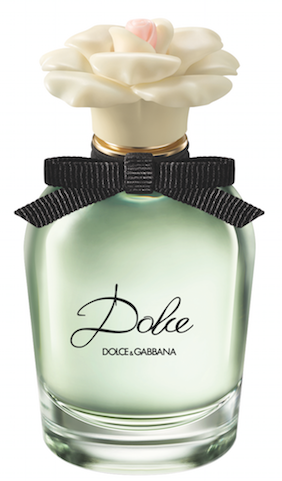 Dolce means pretty in Italian and it’s name embodies the essence of the fragrance perfectly. Dolce takes us on a sensory journey through Sicily, home of Dolce and Gabbana. I’ve never been, but I feel like I’ve been given a glimpse into the scent of Sicily. The Dolce fragrance is a mix of white florals, which I adore and a warm dry down that allows the scent to linger. Although it’s a light fragrance, it’s a substantial fragrance. I found that the fragrance wears very well on me; it’s not one that I had to reapply throughout the day to maintain. 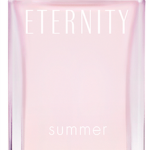 Top notes of Dolce include Neroli leaves and Papaya flower. The heart of the fragrance includes White Amaryllis (a South African flower used for the first time ever in scent), White Daffodil and White Water Lily. The dry down notes include Cashmeran, Musky notes and Sandalwood. This is not an overly floral scent, despite the abundance of florals in the composition. The packaging is exquisite. Weighty and substantial, the Dolce bottle is topped with a flower bud shaped to resemble Marzipan, an Italian confection. Inside, the juice is a pretty spring green; a nod to the fresh Neroli leaves used in the fragrance. There is also a black ribbon tied in a bow, which signifies the white shirts and bow-ties that were a signature of early Dolce&Gabbana catwalk shows. Even the black script lettering is a replica of Domenico Dolce’s father’s own signature. Dolce by Dolce&Gabbana is a high quality fragrance and if you’re looking for a fresh, new scent for Spring, I would highly recommend that you try it out. I honestly have not wanted to wear another fragrance since the day I received this one. There are two sizes available, 1.6 oz. ($90) and 2.5 oz. ($112). You can find Dolce in Nordstrom, Saks Fifth Avenue and in other select retailers. 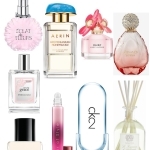 What fragrance are you wearing for Spring? Let me know in the comments! Disclosure: A Press sample has been provided by the brand/PR for editorial consideration, product testing and review. Affiliate links have been used in the post, which means a small commission is earned. I love D& G scents, I’ve been wearing Desire this winter. White florals and green sounds perfect for spring! I msut have it!! @Cindy: If you love D&G fragrances, I think you’ll love this one! It’s beautiful, without being too floral. It’s a perfect change for spring! I also love D&G but am not keen on floral scents so will sniff this one out and test it next time out shopping.